Nascar star David Pearson has passed, age 83. He was Nascar Grand National Champion in 1966, 1968 and 1969. We won 105 Grand National races. Nascar's "Silver Fox." Rated bt Richard Petty as his top competition. I'll have to pull some stats up later but off the top of my head, I know he and Petty finished 1st and 2nd more times than any other combo in history. The Silver Fox is certainly in the convo of greatest ever. That's what my pops says for the very reason in that tweet. 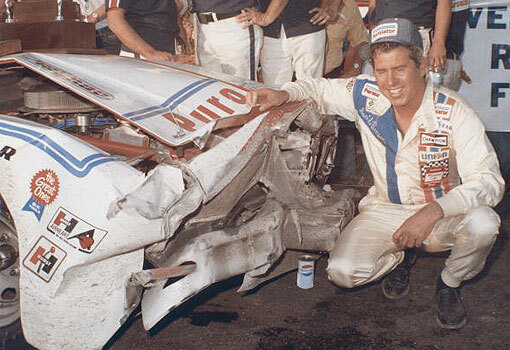 RIP David Pearson. Less than half the starts but more than half the wins. Still looking for win % comparison. Think Tim Flock or Fred Lorenzon still holds that record (or maybe Jimmie J does) but Jayski's site has been infiltrated by the juggernaut so it's hard to find stuff. David was one of my guys (first, then Bill E. followed by Alan Kulwicki) when I could still enjoy NASCAR. Still looking for win % comparison. Think Tim Flock or Fred Lorenzon still holds that record (or maybe Jimmie J does) but Jayski's site has been infiltrated by the juggernaut so it's hard to find stuff. Harumph. So do the math yourself!!! Last edited by jimclark; 15 Nov 2018 at 06:18.
thanks, JC! Jayski used to have it on his site, but had no time to look everyone's up. And to argue a point , Jimmie won races and championships when cars were equaled, so there's certainly some merit there as a pure driver, yes? (and I used to think not). As in how many races would Wendell Scott won had he been racing for a factory team? But again, this a tribute thread. The Silver Fox one of, if not, the best. HoFs are kind of bogus but certainly would agree. I exchanged greetings with Leonard at Atlanta Motor Speedway on the same day I got the "two gun salute" from the King and saw Skynyrd play on the front stretch right behind Andy Lally, all with my oldest. I'll never forget Leonard's smile as I said, "Hello, Mr. Wood." Certainly seems like the personalities of the Woods and Pearson men worked well together.